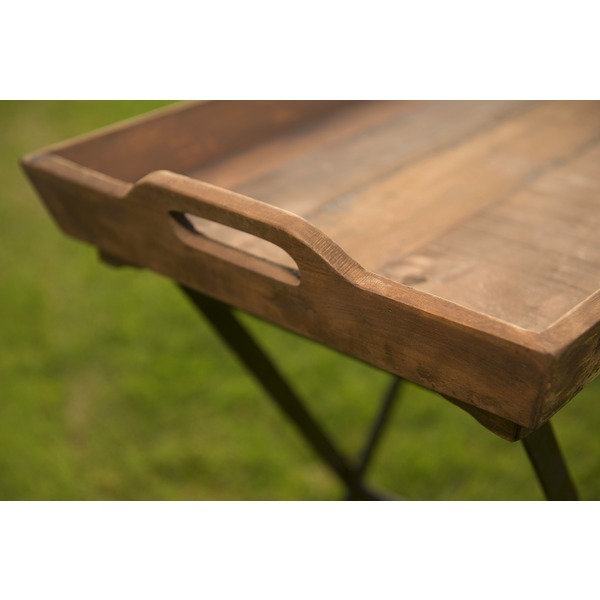 This handcrafted wooden tray is the perfect accompaniment to any garden party or event. 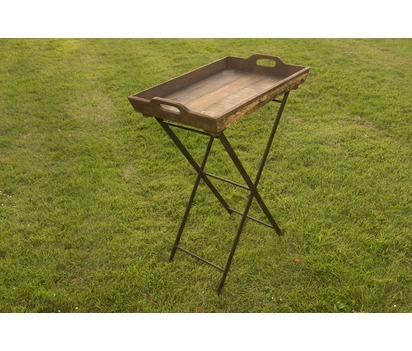 The combination of the handy iron stand and rugged wooden tray makes for an ideal serving solution for any indoor or outdoor party. 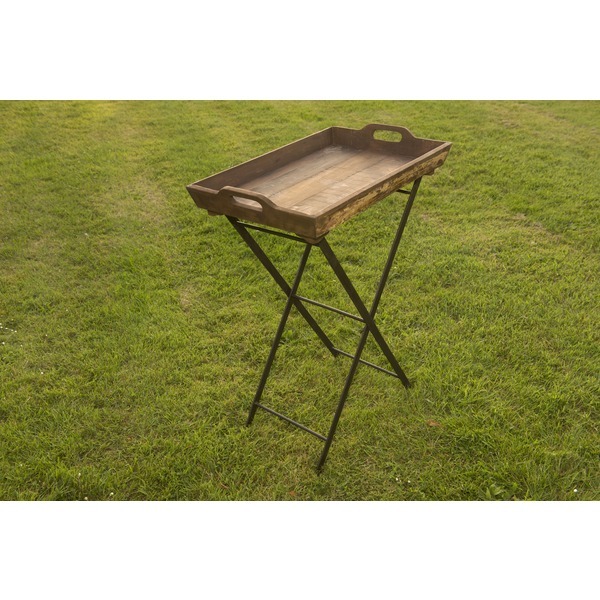 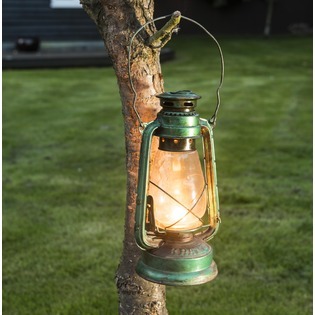 Whether you wish to use it as a side table around the home or next to your fire bowl, this wooden tray provides a reliable and fashionable feature for any home or garden.